Real Madrid president Florentino Perez has reportedly got in touch with a Fifa agent in an attempt to seal the transfer of Bayern Munich left-back David Alaba. The Austria international could be a superb signing for Los Blancos, having shown himself to be one of the finest defenders in Europe for the last few years. Capable of playing a variety of roles, including left-back, centre-back and midfield, Alaba would certainly be a useful addition to this Madrid squad if the club could pull it off. 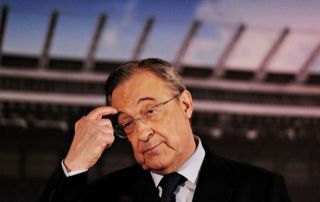 In order to do so, it seems Perez is stepping things up by enlisting the help of Giovanni Branchini, who helped them sign Toni Kroos from Bayern a few years ago, according to Diario Gol. If Real could pull this off again, they’d significantly weaken a Champions League rival and bring in a perfect long-term replacement for the ageing Marcelo. Alternatively, Alaba could also be a long-term successor to Sergio Ramos in central defence, with the European champions looking in need of a new generation at the Bernabeu as this squad looks like coming to the end of its cycle.